MadDog Technology grand opening in downtown Pontiac. Photo by Christian Marcillo. 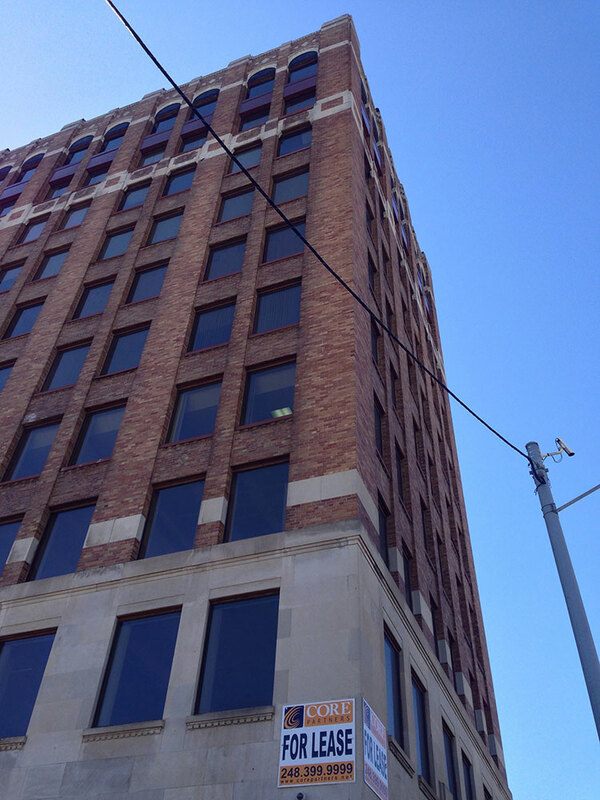 The redevelopment team of the historic Riker Building in downtown Pontiac is taking a top-down approach. The ten-story building, opened in 1928, welcomed prominent Michigan public officials and business leaders this past Wednesday, March 22 for a luncheon and open house celebrating the building's first major tenant, MadDog Technology. Riker Building. Photo by MJ Galbraith.From the top floor of the Riker, a group that included the building's developer Tim Shepard, MadDog Technology co-founders Pete Karmanos, Jr. and Mark Hillman, Pontiac Mayor Deirdre Waterman, and Michigan Lt. Governor Brian Calley, among many others, gathered for the grand opening of MadDog Technology. The venture capital firm MadDog has moved four technology startups into the 6,000 sq. ft. space on the building's tenth floor. Redevelopment of the building is happening one floor at a time, from the tenth floor on down to the first. The overall theme of the celebration was one of rejuvenation, not just of the prominent downtown office tower but of the city as a whole. Speakers forecasted a pending technology boom for the city, encouraging the audience to invest in Pontiac. Mark Adams, Senior Business Development Representative for Oakland County's Economic Development & Community Affairs department says that Michigan nearly lost MadDog to another state, but work at the city and state levels, including a state grant, helped convince MadDog to stay in Michigan. Adams says he expects 100 IT workers to be hired over the next few years, and that MadDog's move to the Riker, "will be a catalyst for more businesses coming to the city of Pontiac." Mayor Waterman believes MadDog will help establish Pontiac as a technology hub, saying that the city has the largest unused fiber optic network east of the Mississippi River. "We want to change the narrative of what Pontiac is," says the mayor. "We're at the center of Oakland County."